GMC is known for its large trucks and SUVs, which cater to buyers with lots of work to do or larger families to haul around between destinations. The Terrain is a change of pace, however, sitting square in the compact crossover segment that has become so popular among virtually all automobile manufacturers. This crossover is designed for small and medium-sized families, with an ample amount of cargo room and the ability to significantly upgrade trim levels to the right level of luxury for any budget. The Terrain is now in its fifth year of production and, as is the case with each new revision, some additional enhancements await buyers of the 2014 edition. This year, GMC has gone out of its way to keep the Terrain largely unchanged visually. That means no new body style or major enhancements since the last significant overhaul. Small details have been worked on, however, with new interior accents and new wheels for a more refined feel overall. This year, the GMC Terrain also comes with the ability to upgrade to all-weather floor mats and interior accents that will certainly be more resilient under threat from rain, snow, and other elements throughout the year. For those considering this refined compact crossover, a healthy look at its pros and cons might make the buying decision a bit more clear. 1. The Terrain shares large components of its aesthetic and design with the Chevrolet Equinox, which has consistently been one of the highest-rated domestic crossovers on the market. GMC's design is certainly a bit more rugged than Chevrolet's, but it comes with many of the same standard features that will mesh with buyers' needs. 2. As part of the General Motors family, all Terrains at all trim levels come with the OnStar system for both convenience and safety. The car features the "Directions and Connections" package as a standard feature, providing motorists with everything from crash notification to turn-by-turn GPS directions and even remote door unlocking for those times when the keys get locked inside or lost altogether. 3. 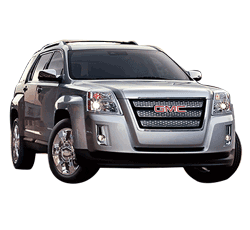 The 2014 edition of the GMC Terrain stands out as an IIHS Top Safety Pick+, which makes it a sure bet for families that don't want to risk life and limb on trips of any duration. 4. The crossover features lane departure notifications, an assistive parking feature powered by sonar technology, and forward collision alerts that can prevent accidents before they happen using built-in radar. It's the best way to proactively avoid problems on the road and keep everyone safe. 5. The V6 engine found in upgraded trim levels will help the Terrain capably handle steeper grades, towing, and heavier loads, which makes this particular model feel far more like an SUV and less like the compact crossover that it actually is. 6. Luxury crossover buyers will appreciate the Denali trim level, which adds larger wheels and even more power accessories for a superior driving experience on longer trips. 7. Bluetooth is a standard feature in this year's Terrain, which means it's easier than ever to accept and place calls hands-free. It's one of the many safety features that reviewers have praised. Additionally, Bluetooth technology allows for effortless music streaming to the built-in infotainment system. 8. Standard heated mirrors and an included backup camera on all trim levels will keep visibility wide open for easy parking and reverse driving. The backup camera's parking guides are an added help even on those models that lack sonar-based park assist features. 9. Upgraded models of the Terrain, with at leas the SLE-2 trim level, come with a Pioneer audio system that blows away the competition. When paired with the upgraded speaker system, drivers and passengers will enjoy superior base, clear treble, and a luxurious audio experience from start to finish. 10. The Terrain, when upgraded to a V6 engine, can haul up to 3,500 pounds. That covers most boats and RVs, and makes this model perfect for nature enthusiasts with plenty of weekend cargo to tow along for the ride. 1. The four-cylinder engine found on the base model Terrain is noticeably sluggish in everyday use, typically hesitating to accelerate quickly at traffic lights and even onto highways. Most will prefer a V6 engine upgrade. 2. Though GM rates the crossover's fuel economy highly, real world tests have found that the Terrain hardly ever meets the numbers posted by both GM and the EPA for this year's trim levels and engine types. That means more money at the pump for families. 3. OnStar does require a paid subscription, which many might consider to be a "hidden cost" of ownership. Without the subscription fee paid, many of the most enticing OnStar features are simply not usable. 4. One of the top complaints voiced by other reviewers and those who have purchased the 2014 model is that its steering tends to be a bit inexact. In fact, the lack of precise steering makes the car hard to maneuver into tight parking spaces and causes drivers to be overly cautious in such settings. 5. While the center console's entertainment system is robust, the lack of multi-zone entertainment systems at all levels could make for long and boring rides for younger passengers. Parents may not appreciate this oversight. 6. Cargo space is respectable in this year's GMC Terrain, but the crossover does fall behind both domestic and international rivals in terms of total cargo storage space. That remains true even with the seats folded down. 7. Though this crossover is slightly larger than most compact models, dual-zone climate control is not even an option. 8. 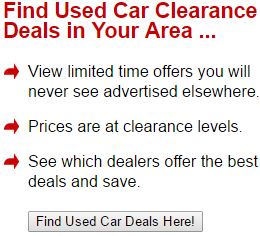 All-wheel drive is considered an optional addition on all engines and all trim levels. This might be a significant added expense for budget-minded consumers. 9. The four-cylinder engine version of the 2014 Terrain can haul just 1,500 pounds. Though not a limitation for the average buyer, those with heavier precious cargo will probably need to upgrade their trim level appropriately. 10. New "noise-deadening" features, from the windshield the panel materials, are included. Even so, the Terrain can produce quite a bit of road noise at higher speeds. That's especially true with the four-cylinder engine during acceleration. Though there are small oversights and missing features that might frustrate a small minority of buyers, most will find that the 2014 Terrain is suitably equipped with great features at all levels. Most buyers will appreciate the power of both engines, the high-end towing capacity for V6 models, and the luxurious interior space that comes with every Denali badge. This is a crossover that should not be overlooked by today's families.